Sensory Integration – what’s that? Let’s start with a comparison to the recycling. Recycling is widely known and undestood expression. Also everybody knows that it is quit difficult to collect small recyclable objects from mass of other less important things. This is a perfect reference to the role of Sensory Integration…During Sensory Integration therepy in the Institute of The Brave Teddy our therapists will help your child to segregate data gathered from external and internal stimulus. The ultimate role of the therapy is to build your child’s capability to understand, organize and feel data transmitted by senses from the environment or its own body. Sensory Integration therapy focus on sense of touch, body balance and prioperception. Sensory Integration therapy in the Institute if the Brave Teddy is dedicated to children in up to high-school age. We are happy to help your child suffering from movement coordination issues, apathy, attention-deficits, concentration or learning issues. 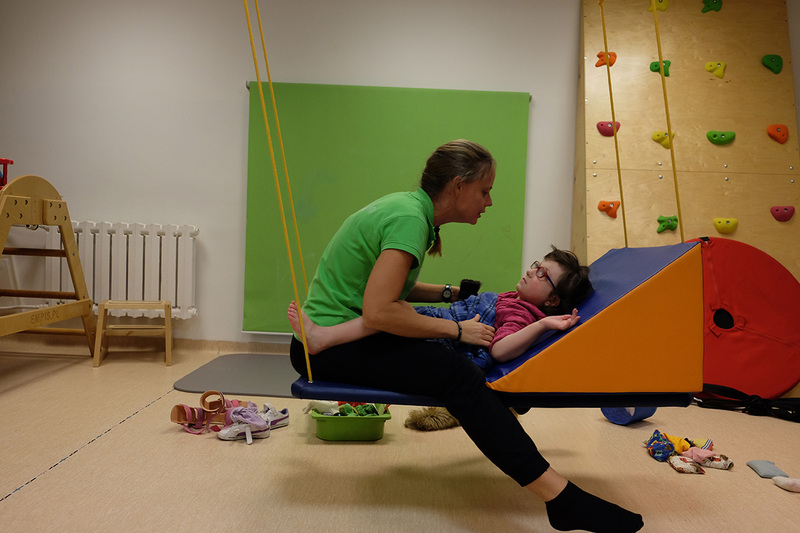 We also use Sensory Integration as a complementary therapy to the Rehabilitation Cycles for children with Celebral Palsy, autism, seeing-deficits, hearing-deficits, ADHD or genetic-disabilities.